One of the largest online poker and casino companies in the world, Betfair, is now the official betting partner of Premier League outfit, Sunderland. The business deal between the two entities was announced late last week and will make the British based gambling company the go-to betting resource both inside and outside Sunderland's Stadium of Light. Although the partnership won't give Betfair a place on the front of Sunderland's first team kit, it will entitle them to branding in and around the ground on match days, as well as on LED screens and backdrops during major interviews. Moreover, betting terminals inside the Stadium of Light will be controlled by Betfair. However, despite now boasting a working relationship with the football club, Betfair won't be the only betting company with an interest in Sunderland. 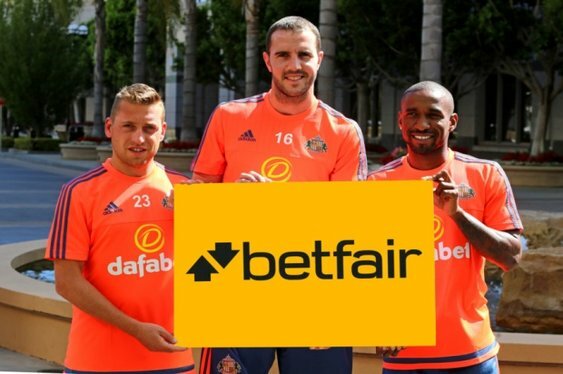 In addition to joining forces with the famous betting exchange, Sunderland also penned a deal with Dafabet. The Asian company is now one of the principle shirt sponsors in the Premier League and will appear on the front of Sunderland's kit in the forthcoming 2015-2016 season. Fortunately for Betfair, however, there is room enough for two in the North East and that means all official betting activity will go through its portal. Commenting on the deal, Betfair's head of media, Stephen Mault, said that the company was looking forward to building a solid relationship with one of the biggest football clubs in the UK. "We are thrilled to have signed a deal with Sunderland to become the club’s official UK betting partner. Sunderland is a club with great heritage and we look forward to growing a successful relationship over the course of the upcoming season," said Mault.